One culture that stands out as unique in tradition when it comes to celebrating St. Valentine’s Day is the Japanese culture. It is only women who give presents (mainly chocolates) to men on this holiday. Some girls used to give their first Valentine’s chocolate to a boy as early as the Third Grade. Nowadays, chocolate giving occurs even in kindergarten. Men in Japan give gifts to women on a holiday called White Day, which is on March 14th. The tradition of women giving chocolates to men on Valentine’s Day began as a marketing tool for chocolate companies in Japan… what a surprise. Women are encouraged to give chocolates and other gifts on this day throughout Japan. 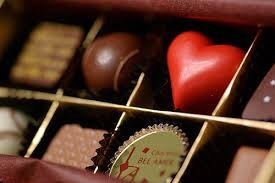 More than half of the chocolate sold in a year in Japan is sold mainly around Valentine’s Day. Women buy them for their co-workers, bosses, male friends, brother(s), father, husband, boyfriend(s), and so forth. Chocolates given to men whom the women do not feel any particular love or affection for are called “giri-choco” (“Obligation chocolate”). Even men feel embarrassed if they do not end up receiving anything on Valentine’s Day. 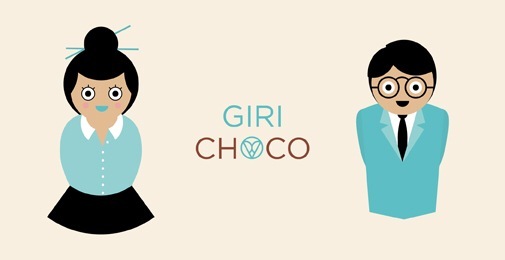 Because of this, women usually make sure to give giri-choco to men around them so that no one feels left out. 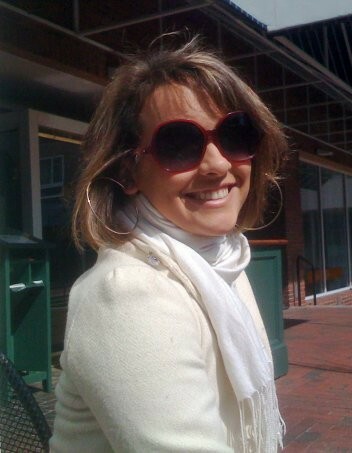 Most often, women tend to give certain special gifts, such as clothes and neckties with chocolate to those men whom they feel love for. 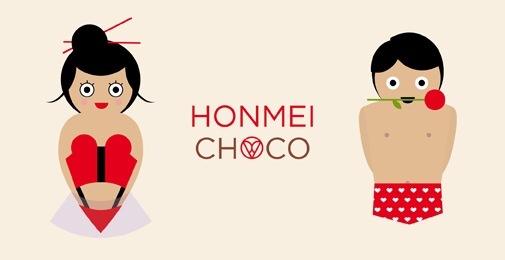 “Honmei-choco” (“prospective winner-chocolate”) is the chocolate given to a special man from a woman. Honemei-choco is more expensive than giri-choco, as one would imagine, and it is sometimes home-made. It is considered good fortune for a man to receive a honmei-choco.